Hii my pretty ladies.. How are you all? Its time to review the Nykaa Rock the Line Kajal .. 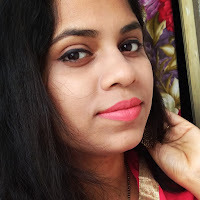 I love nykaa as a shopping website as well as a brand.. I have their nail polishes ( huge collection) ,lipsticks and now got their kajal to try out.. These days I am wearing it almost everyday, yes i love applying kajal everyday.. kajal / eyeliner is my second love after lipstick.. I do apply kajal as liner most of the time .. 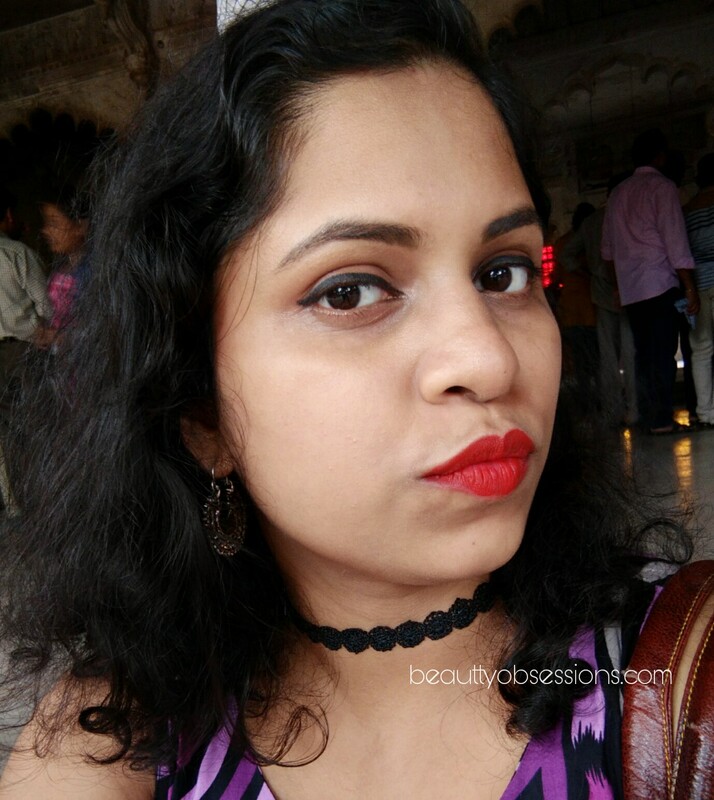 Sometimes a heavy lined kajal and bright red lipstick can lift the mood up, aren't you agree with me ? Well, lets get into the post to know more in detail..
PRICE - Rs 199/- for 0.35gm. SELF LIFE - 3 years from mfg. PACKAGING - The kajal comes in a retractable pen form which is quite convenient to apply.. There are few information ,price ,mfg date,exp.date ,etc. are written on the kajal pen itself which is appreciable .. As the kajal is in retractable form, there is zero wastage of product while using .. The cap locks tightly wich means it is travel-friendly. I love the pink and black packaging.. 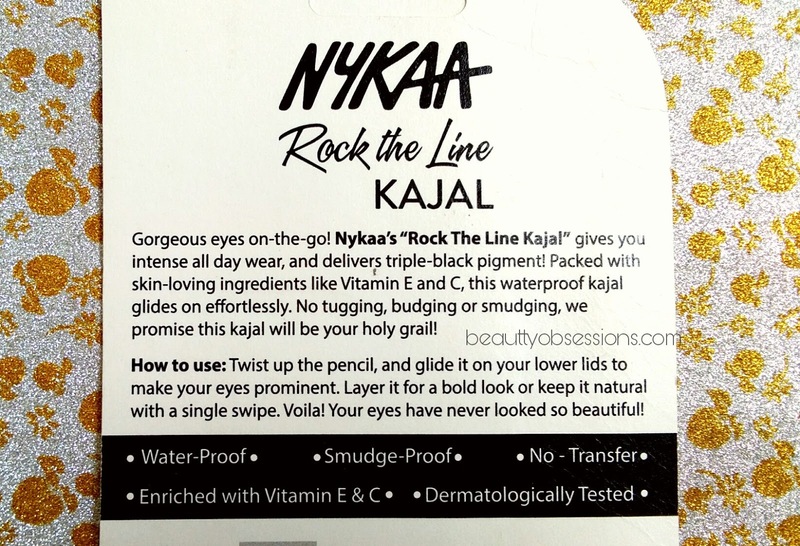 The Nykaa rock the line kajal is a jet black colour kajal .. I love such dark black kajal on my eyes.. The texture is soft and smooth. 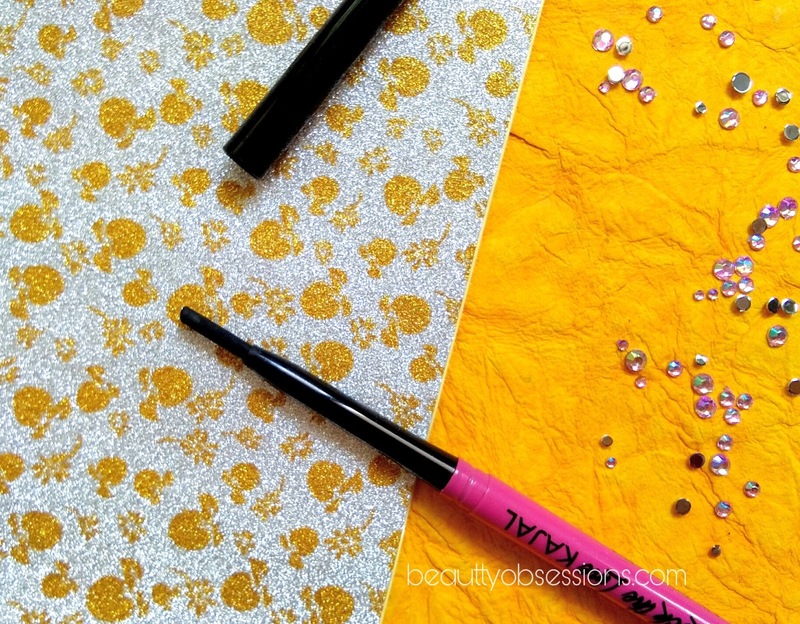 It is creamy and glides smoothly on eye lids.. 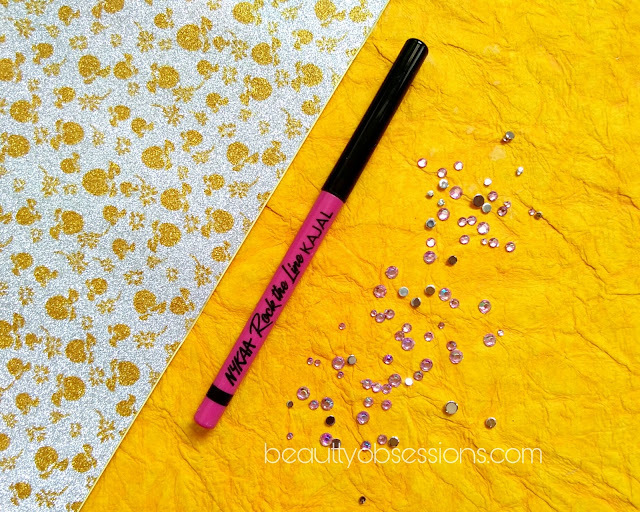 I can compare it with lakme iconic kajal pencil which has same texture.. As it is so soft ,one should me careful while applying otherwise you might end up breaking the tip.. I apply with a very gentle hand and it gives a perfect black line which i love.. 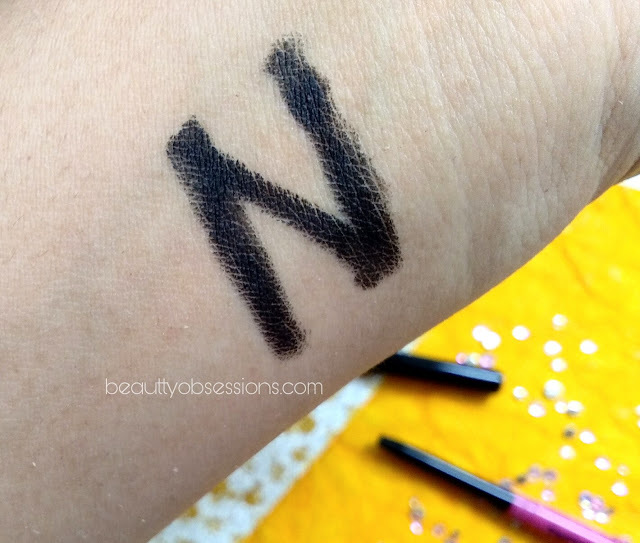 The pigmentation is up to the mark.. One swipe brings the insane dark black colour and it is matte.. trust me ,i only need one swipe for lining my upper eye lids .. The staying power is remarkable.. It stays around 12-13 hours on my lids without smudging or fading ,can you believe that ,in fact it might stay more time to that ,but i had to clean up as it was sleeping time.. I had this on my eyes during my last vacation and it was still intact after the whole day travelling .. I am totally overwhelmed by seeing its staying ability.. To be very honest ,i was not expecting that much quality from this kajal before purchasing ,but it proved me wrong.. It's like big cracker inside an affordable packet (what say..) .. Except that it is preservative free and enriched with vitamin E and C.. 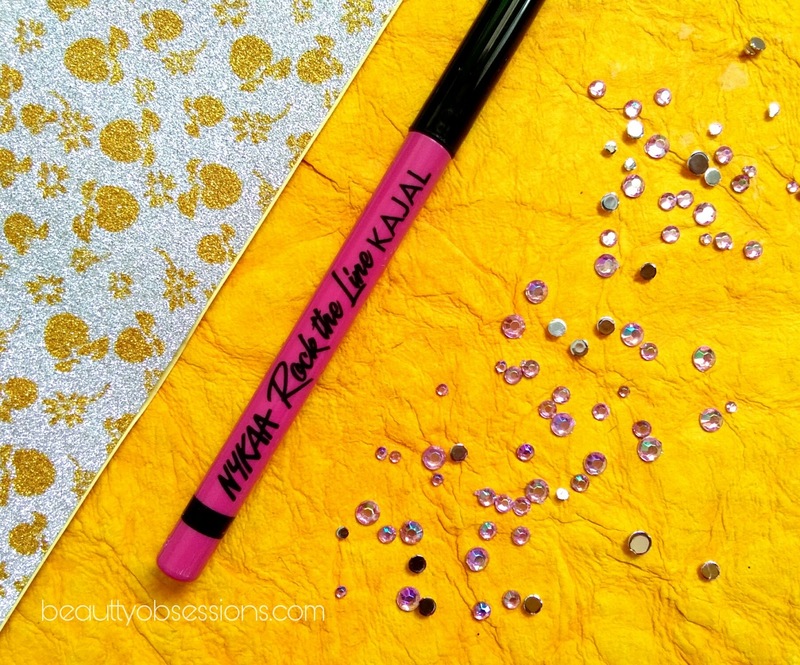 I am loving this kajal by nykaa..
Looks super pigmented. Loved the pics too!! I am a kohl person and cant even think a day without my kajol.Have tried so many brands but still want to stick to Maybelline one. Will try this too. Smudge proof is important for me. This will be my next buy for Kajal. I can't so without a kajal. Currently using maybelline. Will check this one out. I love applying Kajal too. 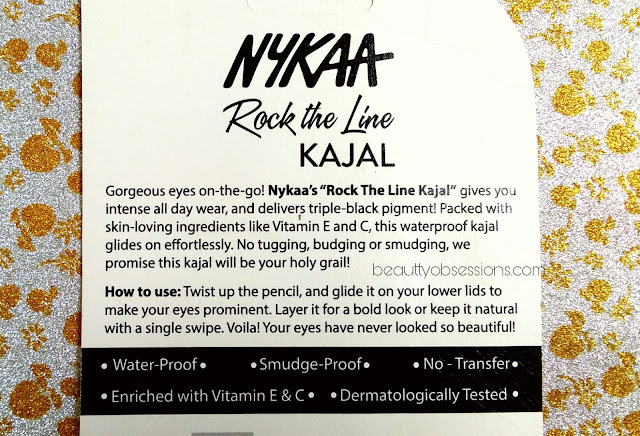 Nykaa is a good brand, must give this a try. Thanks for the review. 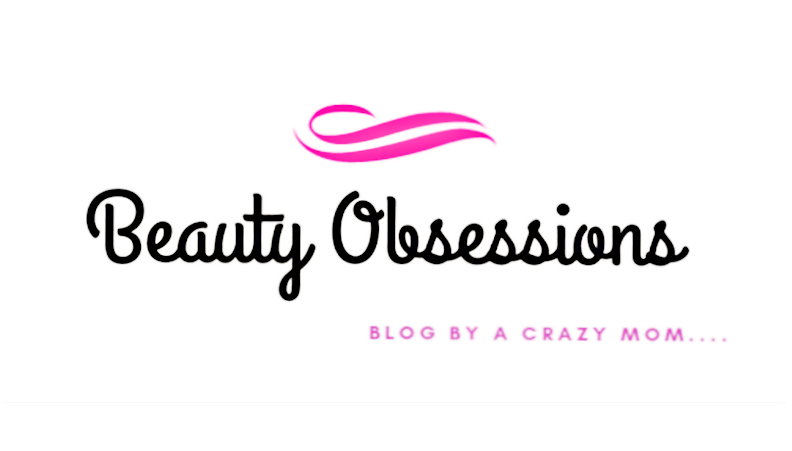 I am so happy to see Nykaa growing in various categories and coming up with there own range. Lovely review.